From Conservation International, this Biodiversity Hotspots site (first reported on in the October 18, 2002 NSDL Scout Report for Life Sciences) "was re-launched in 2005 with completely updated information as presented in the new book _Hotspots Revisited_." 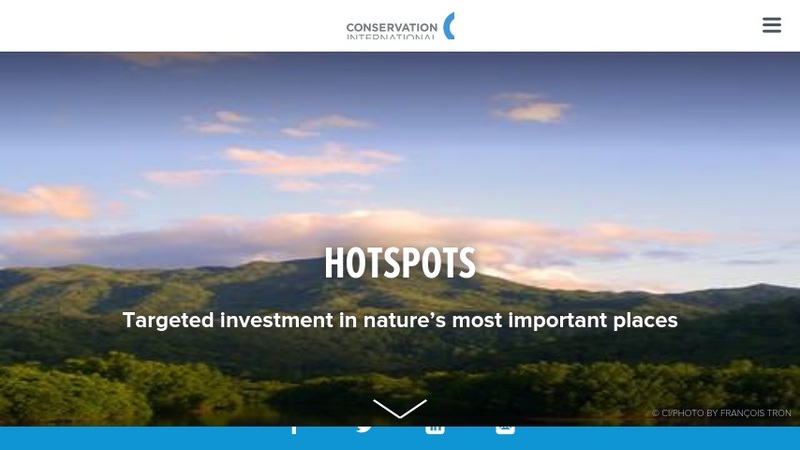 The updated Hotspots website features profiles of more than 30 ecologically important areas of the world. Hotspots are categorized under five world regions including South America, Africa, North and Central America, Europe and Central Asia, and Asia-Pacific. Site visitors will find profiles about such Hotspots as the Himalaya, Mediterranean Basin, Horn of Africa, Tropical Andes, Madrean Pine-Oak Woodlands, Sundaland, and more. In addition to regional profiles, the site offers a number of helpful resources such as a Terrestrial Vertebrate Species Database, a Glossary, Maps, and related References.